Upon entering this beautiful world, you will say, “Hey! I am a fabulous mermaid”. A guest will feel that he is in some another fantasy world and as if being turned into a gorgeous mermaid isn’t amazing enough, the food is so colorful and delicious-looking anyone could cry upon. 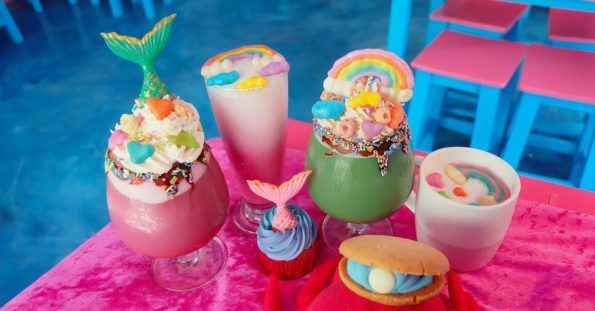 Here you will get servings like rainbow waffles, colorful drinks, and mermaid tail cupcakes and all dishes are so dreamy and best looking with all rainbow colors.